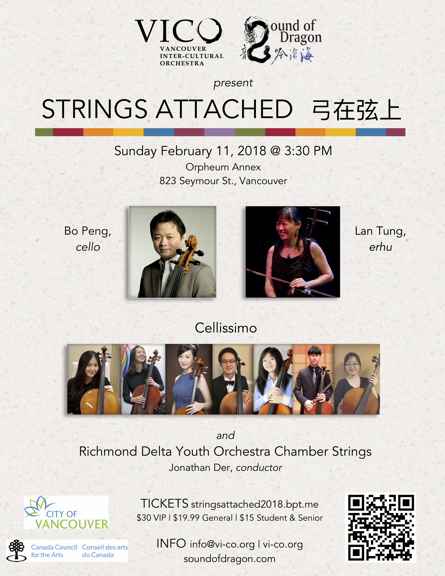 The collaboration between the Sound of Dragon Ensemble (Vancouver) and Melody of China (San Francisco) is the first time two professional ensembles of Chinese roots from across the border have come to work together. 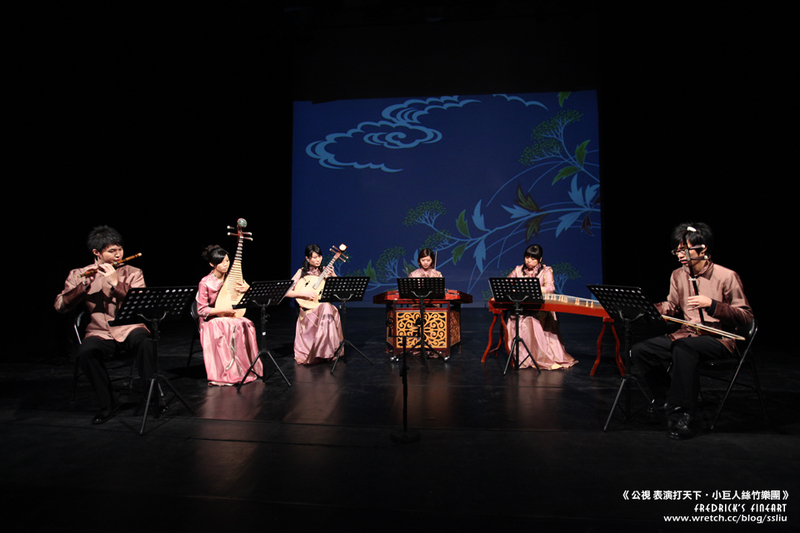 It also marked Melody of China’s Vancouver debut. The music will include the world premiere of music by Dorothy Chang (Canada), Itamar Erez (Canada), and Yuan Chen Li (US). Sound of Dragon Ensemble also welcomes our guest conductor Chih Sheng Chen (Taiwan) to lead the ensemble again. The concert will feature soloists Yangqin Zhao and Gangqin Zhao of Melody of China. 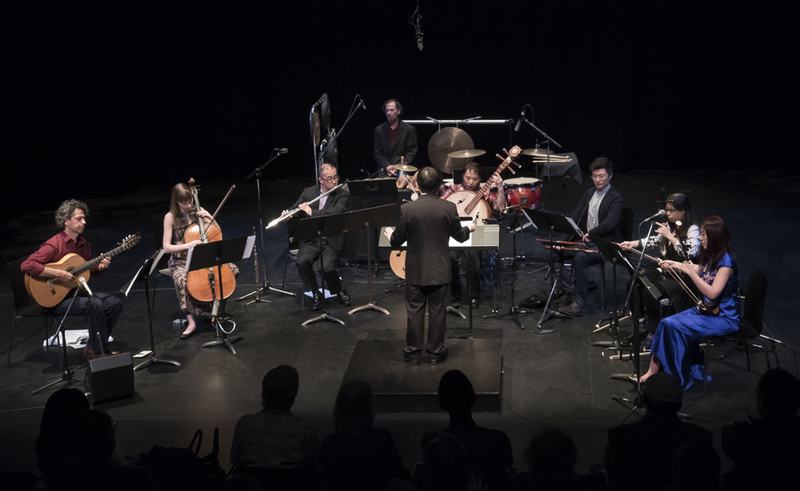 Following the Vancouver concert, the ensembles will share the stage at Fort Mason Centre for Arts & Culture as part of the San Francisco International Arts Festival at 6pm on June 2, 2019. 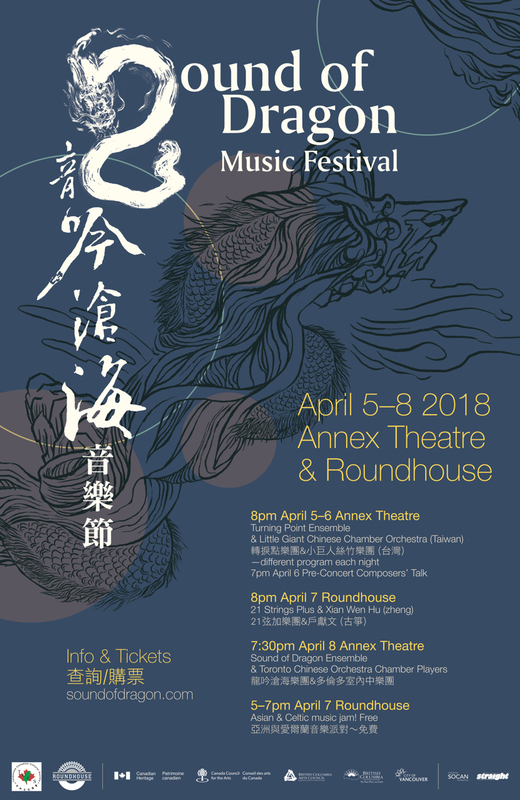 The 2018 Sound of Dragon Music Festival will present the collaboration between Turning Point Ensemble (Vancouver) & Little Giant Chinese Chamber Orchestra (Taiwan), Geling Jiang’s new ensemble 21 Strings Plus with special guest Xian Wen Hu (China), and the collaboration between Sound of Dragon Ensemble and Toronto Chinese Orchestra Chamber Players. 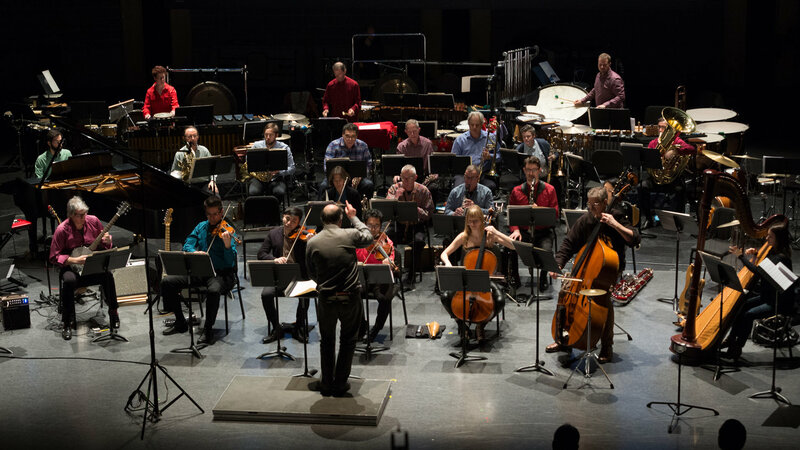 The first class large chamber ensembles in Canada and Taiwan come together in the collaboration of the Turning Point Ensemble and the Little Giant Chinese Chamber Orchestra. They will perform inter-cultural works by Canadian, Taiwanese, and international composers. After the festival, the ensembles will meet again on the stage of Taiwan’s National Concert Hall in June 2018. Music of the Heavens is a multicultural creation of live music and multimedia animated visuals that tell ancient astrological stories from Chinese, Greek, and the First Nations traditions. The artists re-interpret the stories and explore the meeting of cultures in their collaborative process with community members, where unique stars signifying individuals’ heritage were made. Each story is connected to a season, and characters from the heavenly world travel through time and space as the night unfolds, highlighting different cultural beliefs. Free concert, celebrating Canada 150 on Canada Day! Led by Lan Tung erhu/voice, Proliferasian performs cutting-edge music rooted in Chinese traditions and avant-garde jazz, mixing rhythmic intricacy with the fluid spontaneity of improvisation. 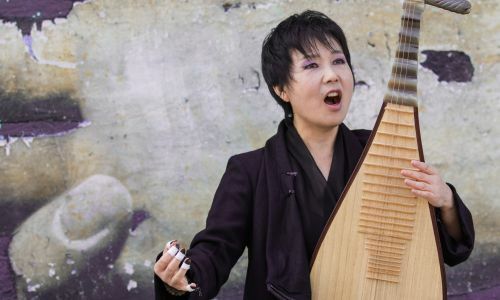 Hailed by The New York Times as “a pipa player like no other,” special guest Xiaofen Min “has taken her ancient Chinese string instrument into the future” (Village Voice). With JP Carter trumpet/electronics, Colin Cowan bass, Ron Samworthguitar, Bernie Arai drums. check out other events during her residency.